Anyone who is an avid watch collector or wanting to become one and is looking for the best watch winder for the money they should consider the large watch winder boxes manufactured by Volta. These automatic watch winders can be used for both showcasing and secure storage of a watch collection. In addition, the Volta watch winders are both elegant and functional. These large watch winders are part of the Signature Series and are capable of storing/winding 12, 16, 24, and even 32 watches at a time! One of the most popular watch winders is the Volta 12 Signature Series Watch Winder. It is designed to store and wind 12 automatic watches at a time. Use Volta12 at the time of checkout for an additional discount. Dimensions: L 19.75” x W 10.25” x H 25.25” inches. To control the motor of the winder, you will find 2 LCD screens on the inside of the winder. Each LCD screen will power 8 of the winders. Using the buttons to the right of the screen, you can control the revolution direction and the speed (TPD) of the winder. Each watch winder box has its own serial number and can be registered online at www.voltawinders.com. So lately I order a Volta 12 Signature Series watch winding box from eWatchbox.com. When I opened the box the first thing you see is that the watch winder is well packed to make sure that it isn’t damaged during shipping. After unpacking the watch winder, you will find a beautiful piece of art well crafted. The quality finish on the exterior of the box is amazing especially the glossy carbon fiber door which closes perfectly. The quality of the material and the inside look of the box is perfect especially with the LED lights on. The box weighed more than I expected but it kept the box from moving when you put your watches in it or close and lock the door. The box is so well built that when you put your watches in the winder it will keep them safe. The watch winder is easy to configure the manufacture setting winder settings for each of your time pieces. The watch holders are easy to unclip and clip back in position and they can hold any watch that you have small or really big no problem whit that. When I started looking for a watch winder here in Montréal I didn't find what I was looking for so I went on the internet. After searching I saw the Volta watch winder with a classy look. The Volta 12 was the perfect size for my watch collection. The folks at eWatchbox.com put together a great review of the Signature Series watch winders made by Volta. 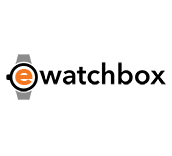 I sent an email asking some questions about the box and received informative and timely responses from Jon at eWatchbox.com. He was very professional and knew a lot about the about the watch winder. His quick responses and knowledge of the product was the reason I bought the unit from eWatchbox.com. If there is a need to purchase another Volta watch winder – I will definitely purchase again from eWatchbox.com. I would definitely recommend the Volta Signature Series Watch Winder from eWatchbox to my friends and family. the winder was delivered extremely well package. the winder is of excellent quality and the functions are easy to use.